Good things come in small packages, that statement is very true for the all-new Phanteks P300. 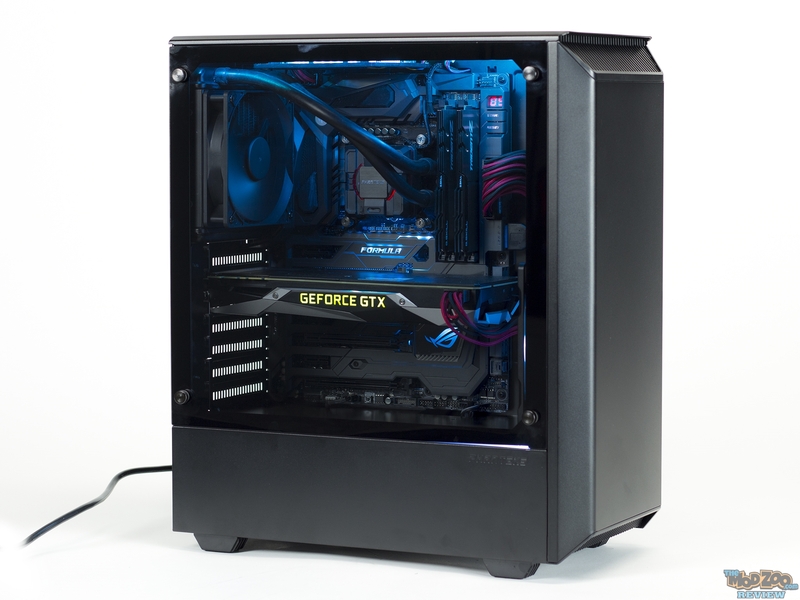 The latest addition to the Phanteks family of cases, the P300 brings enthusiast grade features and build quality at a very friendly price of just $59.99 (£54.99). The P300 has all the standard features that you would expect in a case: Tempered Glass, built in RGB with the ability to add more, great build quality along with great cooling and storage capabilities. One of the unique design elements of the case is the PSU compartment. It is designed as part of the exterior of the case that not only helps with keeping the design clean but also allows for great thermal separation. Full metal steel construction ensures that you have a case that will last, and the lightly tinted tempered glass panel adds a nice touch of class at an entry-level price.